Uniquely styled marquise cut diamond full eternity ring, created in a decadent, contoured interwoven design. Uniquely styled, this Marquise cut Diamond Eternity Ring is one of a kind. Created in a decadent, interwoven design, the Diamonds set within the curves achieve an impressive total Diamond weight of 1ct. Each Diamond has been expertly matched to F Colour and VS1 Clarity prior to being set into the design. 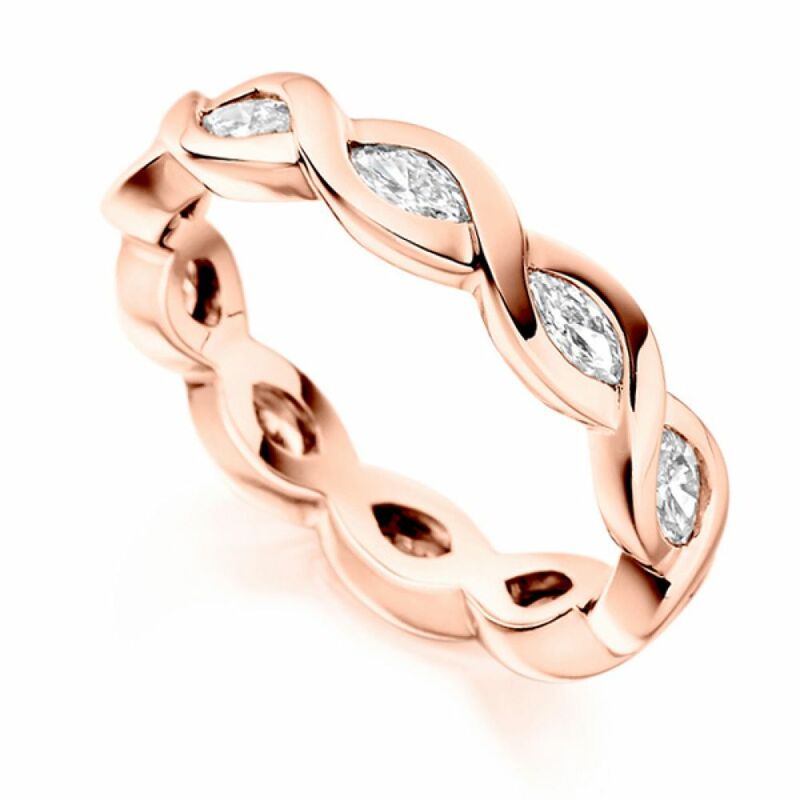 This effortlessly graceful design can be created in 18ct White Gold, 18ct Yellow Gold, 18ct Rose Gold, Palladium or Platinum. Please allow us approximately 4 weeks to craft your ring for you in your desired precious metal choice. Your ring will then be delivered straight to your door by a secure and trusted courier, presented beautifully in our own Serendipity Diamonds packaging.